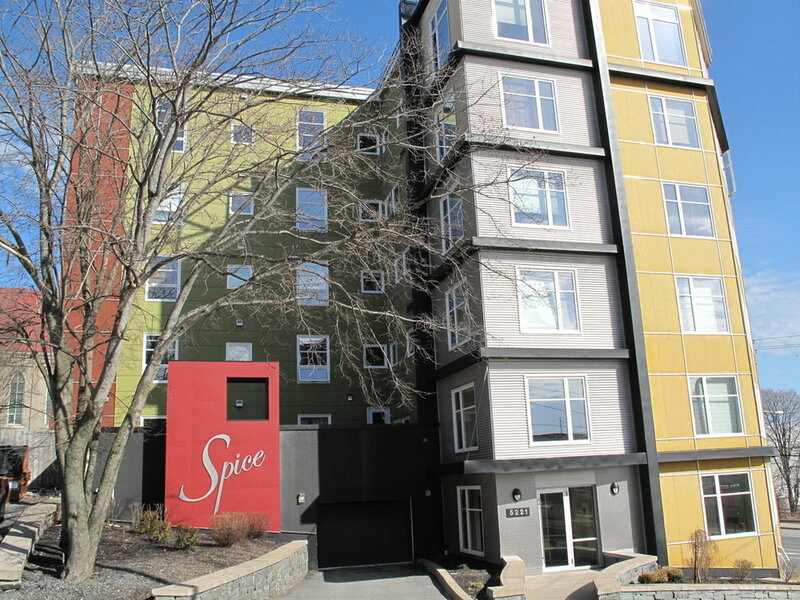 Spice sits on the corner of Barrington and Cornwallis Street in an up-and-coming part of Halifax. The building features energy efficient, ICF construction which equates to lower power bills. Spice also has some of the lowest condo fee's in the city and the building financials are sound. The developer, Polycorp has a great local reputation and was also behind the highly sought-after Q Lofts. Last, the building is just a short five minute walk to fantastic restuarants including Edna, Foggy Goggle, Field Guide, and the Nook Espresso Bar & Lounge.